To fair visitors, it may be all about the yummy food, petting animals, and viewing the neat displays. However, behind the scenes, fair days and showing animals can be a lot of work and a way for youth to learn how to juggle schedules and make adjustments. It’s clear there are many ways to help put your best foot forward when fair days roll around. We checked in with Brown and a few others experienced in “fair survival” to get their best ideas on having a positive experience. What about food? “For breakfast — if you have time to eat — things like granola bars, fruit, and dry cereal. For lunch, sandwiches. If the show is near a Publix, Publix fried chicken is always a good choice. For dinner, usually on the way home or on the way to the hotel, stop at a fast-food restaurant. They are everywhere,” she says. Chips, crackers, and other non-perishable goods for snacks are always a good idea, too, she says. Jessie Bennett, 13, is a homeschooled student who travels showing purebred Brahman cattle. She has some heartfelt advice for positive fair time. “Making friends is the best way to pass the time at the fairs,” she says. Another idea is to get involved by volunteering, she says. “For example, help at check-in, help in the ring, help at weigh-in and help with line-up. You can do all of these things by simply offering to do them,” she says. Jennifer Williams, a show mom with plenty of fair day notches on her belt, offered us the parental view of fair survival. 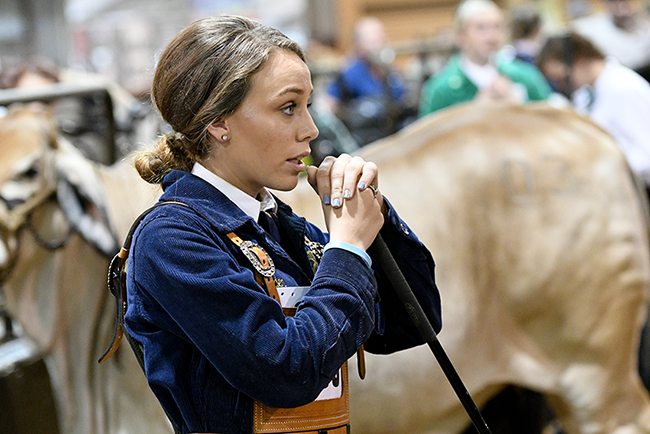 “There are so many things that you need for show season to make you’re fair successful, aside from the basics, like rope halters, show halters, show sticks, brushes, combs, and feed pans,” she says.